Home / Latest / What Has Puma Created With the evoPOWER Vigor 3D? What Has Puma Created With the evoPOWER Vigor 3D? If you have experienced what the Puma evoPOWER Vigor 1 has on offer, you will know that they are pretty special. If the market was based on performance alone, they would sit very close to the top of the pile. Well, Puma is looking to make an additional statement with their latest special edition evoPOWER Vigor 3D release. So, what makes these so different from the original release? 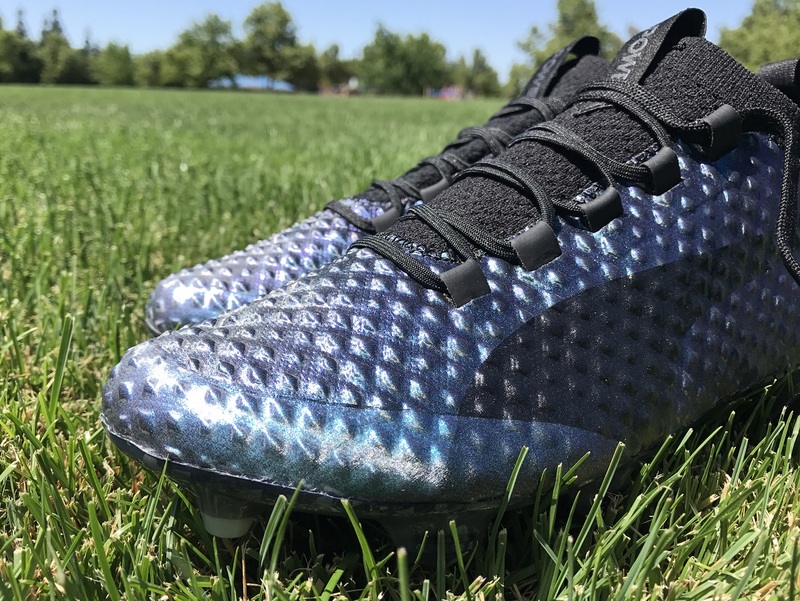 Well, you have to look past the iridescent colorway in order to find PUMA’s AccuFoam technology placed right across the entire upper, without any additional layer of Adaplite. 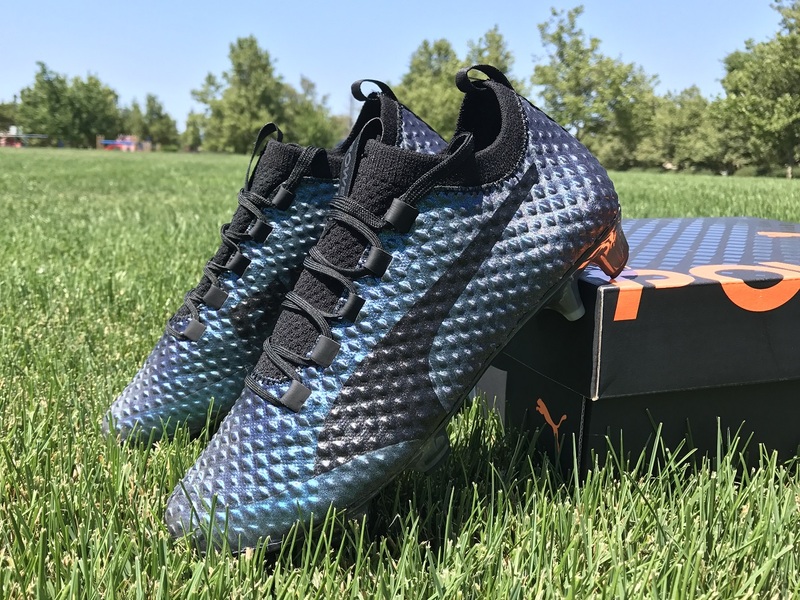 Designed with a direct emphasis on striking power, the evoPOWER Vigor features Puma’s AccuFoam technology – raised bumps on the upper made to create a better surface for shooting and enhancing accuracy. 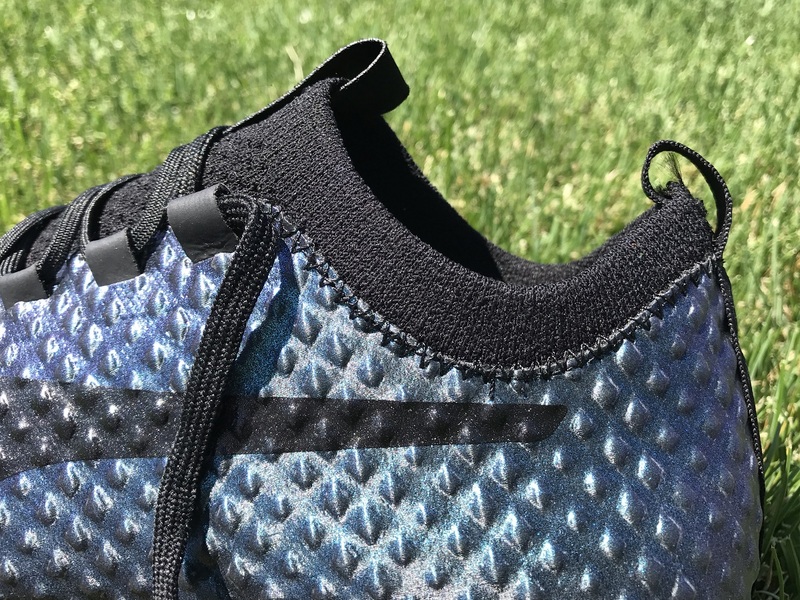 Adding to that, the level of grip is going to be increased thanks to how those AccuFoam dots line the entire upper, giving you a slight advantage when it comes to accidentally controlling passes with your heel. Find the evoPOWER Vigor 3D available with free shipping from soccer.com. I’m not sure why, but this release really excites me. From experience, there really are not many boots better than the evoPOWER Vigor to slip your feet into. 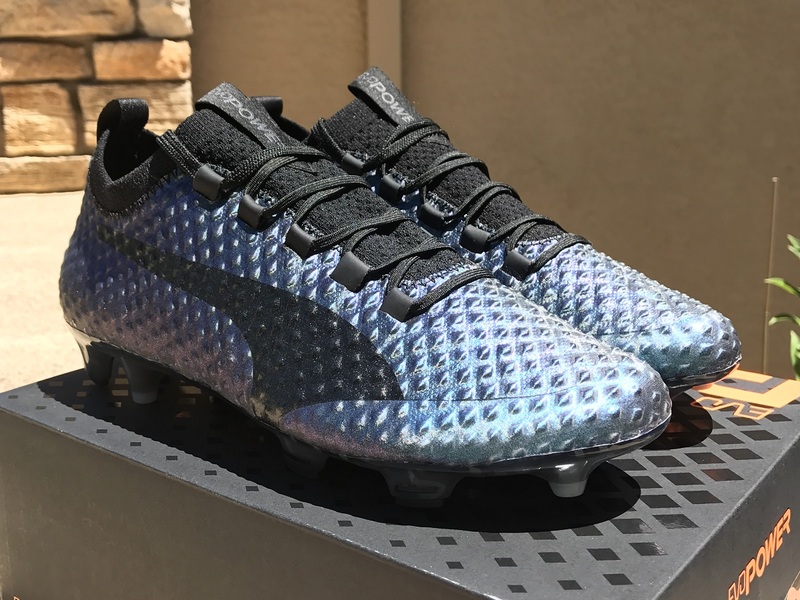 Puma’s decision to create the boot using a spandex sock for a second skin feel plays out perfectly. They naturally mold in around your foot (and ankle) right from first wear. And the fact that Puma has found a way to improve grip and control on the ball makes it even more exciting. 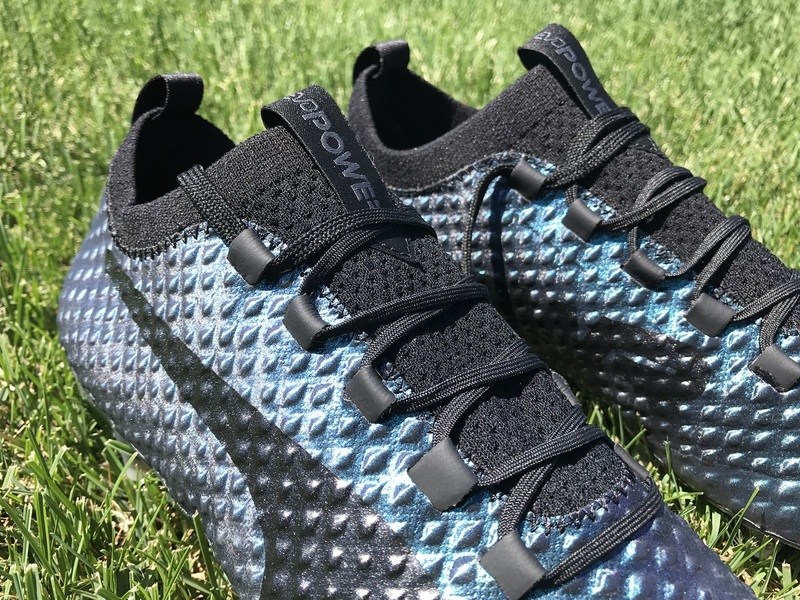 Note here that I use the word improve loosely, because I never had an issue with the performance of the evoPOWER Vigor 1, I’m simply in favor of wearing new boots that brands feel improve how an player experienced their boots on-pitch. Plus, this chameleon like colorway is pretty tasty! If anyone is interested in a comprehensive review, let me know and I’ll piece it together. 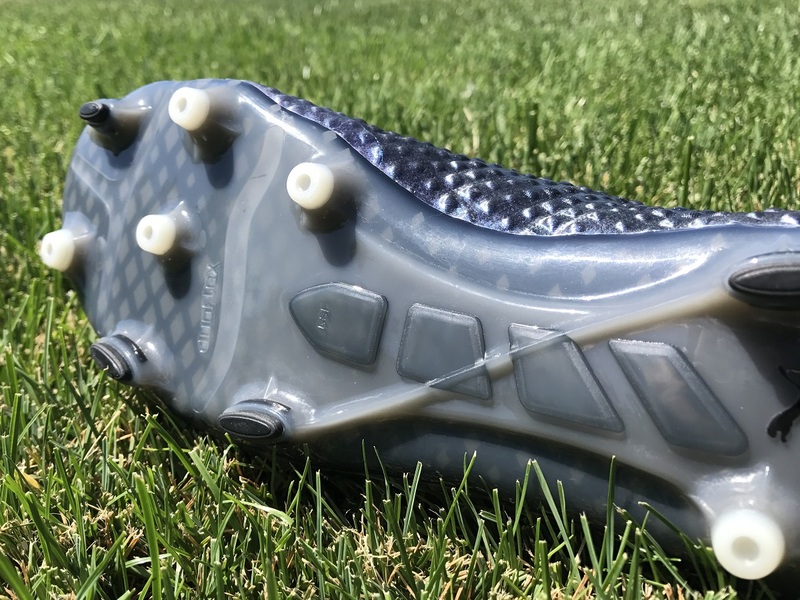 You can find the evoPOWER Vigor 3D at soccer.com. Wow, Its look great and I am very much interested in it. The design of this boot and color are exceptional. Technology at its best. Is the review still coming? And do you think they are better than the original Vigor 1?